VMA Electric provides comprehensive electric service – including installations, repairs, and troubleshooting – for homeowners and businesses in Sudbury, Massachusetts, and the surrounding areas. Since 2008, we’ve been the electrical contractor that customers have turned to when they want quality service at a fair price. Our owner – Victor Archila – considers providing customer-focused service to be the most important thing we do, which is why he tries to be personally involved with every client. We try to stand out from the other electric service contractors in the area by employing electricians who have an average of more than a decade of experience, and making sure they stay on the cutting edge of industry advancements and best practices. 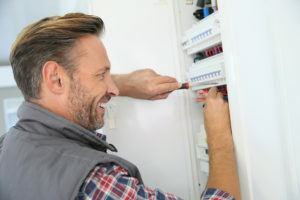 And, because an electrical issue like a blown circuit or a sparking wire can happen at any time, day or night, we have an electrician on call 24 hours a day to provide emergency services. Contact VMA Electric today if you would like to learn more about the factors that have made us a trusted electric service contractor. We proudly serve residential and commercial customers in the Sudbury, MA, area.